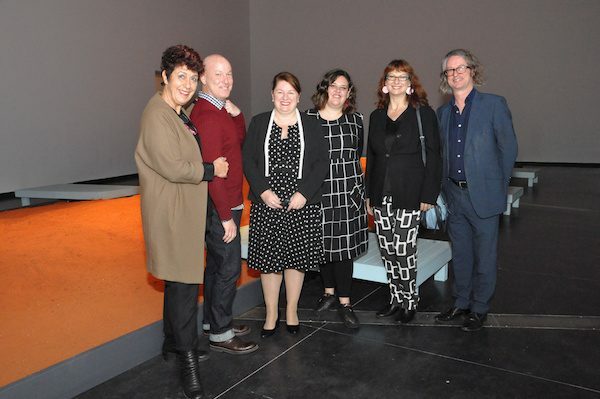 Members of the Yalingwa Advisory Group, N’Arweet Carolyn Briggs and Jacob Boehme, Minister for Aboriginal Affairs, Natalie Hutchins, inaugural Yalingwa curator Hannah Presley, Victoria Lynn (TarraWarra) and Max Delany (ACCA). Photographed alongside Bik Van der Pol’s Letters to the Land, which is part of the current ACCA exhibition Greater Together. In Woiwurrung language, Yalingwa refers to day and light. It’s an apt word to title a new initiative between Creative Victoria, the Australian Centre for Contemporary Art (ACCA) and TarraWarra Museum of Art. Announced last week, the initiative creates three roles for Indigenous curators split into two-year contracts in which the curator will be embedded within a corresponding institution. Three major exhibitions will be held biennially in 2018, 2020 and 2022, across the two institutions, and three one-year Artist Fellowships will allow Indigenous artists to develop new work. 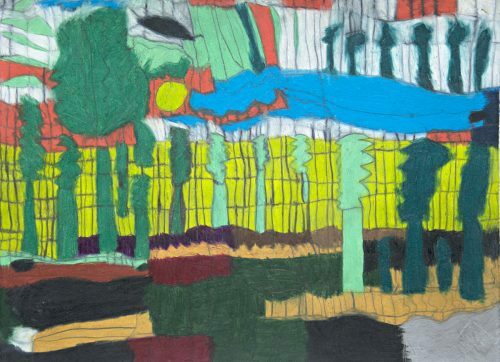 The initiative was put together by Creative Victoria in collaboration with the two galleries and in consultation with Elizabeth Liddle, former manager of Indigenous Partnerships at Creative Victoria and the Wurundjeri Council. The program has also appointed an advisory group consisting of Indigenous members which ensures that Indigenous people speak for themselves and also so that appropriate protocol is put into practice. TarraWarra Art Museum will be a prime site for the Yalingwa initiative as it takes the exhibition to the outer-metropolitan area of Melbourne. 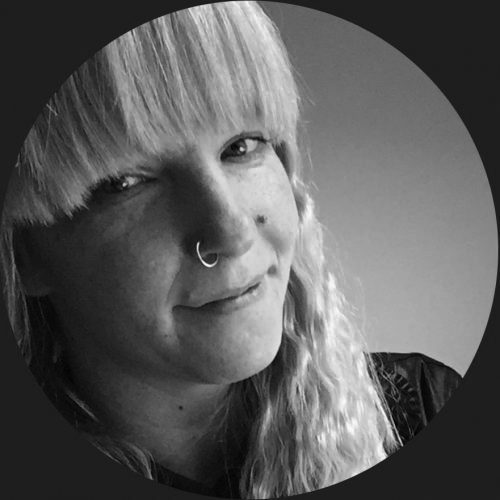 The first curator appointed to the program is former Koorie Heritage Trust curator and Aboriginal Projects Coordinator at Craft, Hannah Presley, who recently co-curated Every Second Feels Like a Century with Debbie Pryor at West Space. Presley will be working with ACCA to develop the first Yalingwa exhibition to open in 2018 and Max Delany says that “her role builds ACCA’s curatorial team, and it’s great to have her involvement in the program, and new perspectives within the organisation.” There’s no doubt that Presley’s presence within the institution will allow for a fuller approach to working across culture. Yalingwa hopes to bring this to TarraWarra, to its artist and curator opportunities, and to the rest of Australia as an example of best practice. 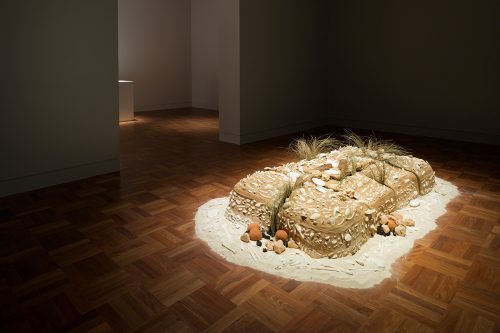 Yorta Yorta artists Jack Anselmi and Cynthia Hardie have won the 2016 Indigenous Ceramic Art Award with their installation, Midden. 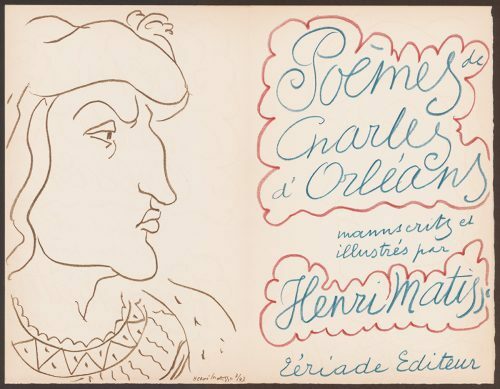 An exhibition of the University of Melbourne’s Rare Book Collection examines the links between European illustrated book tradition and the current Australian scene.